Even though new age financial planners scoff at the idea that Insurance can be an investment, here's a revealing figure. The total fund manged by LIC is more than Rs 5 lakh crore while the total funds managed by the entire Mutual Fund industry is Rs 2.31 lakh crore only! Even though Mutual Funds may and should catch up with Insurance, let's take a look at the Insurance concept. Life insurance is universally acknowledged to be an institution which eliminates risk, substituting certainty for uncertainty and comes to the timely aid of the family in the unfortunate event of death of the breadwinner. Life insurance is concerned with two hazards that stand across the life-path of every person:That of dying prematurely leaving a dependent family to fend for itself and that of living till old age without visible means of support. In India, Life insurance is popular because Savings through life insurance guarantee full protection against risk of death of the saver. Life insurance encourages 'thrift'. It allows long-term savings since payments can be made effortlessly because of the 'easy instalment' facility built into the scheme. It is also easy to acquire loans on the sole security of any policy that has acquired loan value. 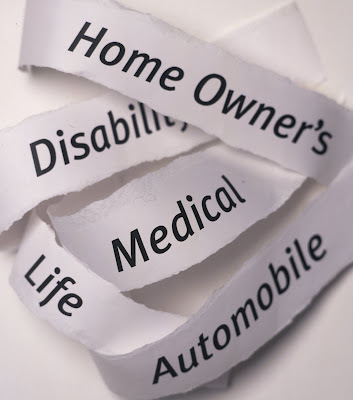 Life Insurance is the best way to enjoy tax deductions on income tax and wealth tax. With the insurance industry showing robust growth, it's time to become more aware of your insurance needs. And which is actually evaluating your human life value and then deciding your insurance.